You are not alone in your struggle with weight loss. In 2009 and 2010 more than 78 million adults in the U.S. were obese. According to the American Obesity Society, obesity affects more than one-third of U.S. adults. Obesity is associated with increased risk of developing heart disease, stroke , type 2 diabetes , sleep apnea, and certain types of cancer. Here at Vista Health we recognize this is a complex chronic condition and we are dedicated to helping you take control of your health. The multidisciplinary team of doctors, dietitians, psychologist, and exercise physiologist at Vista Health can help create an individualized weight loss or surgical weight loss plan to help you achieve life-long health and long-term weight loss. Our weight loss and surgical bariatric program is designed to help you lose weight and keep it off by providing you with the support and tools patients need on their journey. For those interested in weight loss surgery Vista Health has a team of highly experienced surgeons on the medical staff. We offer a variety of minimally invasive procedures which can offer faster recovery and less pain than traditional surgical procedures. Vista’s surgical weight loss program is designed to help improve your health and quality life using surgical intervention for weight reduction. Experienced surgeons will work with you to determine the surgical plan best for you based on your medical history and life goals. Vista Medical Center East (VMCE) had been recognized as a Comprehensive Center for Metabolic and Bariatric surgery beginning in 2011. 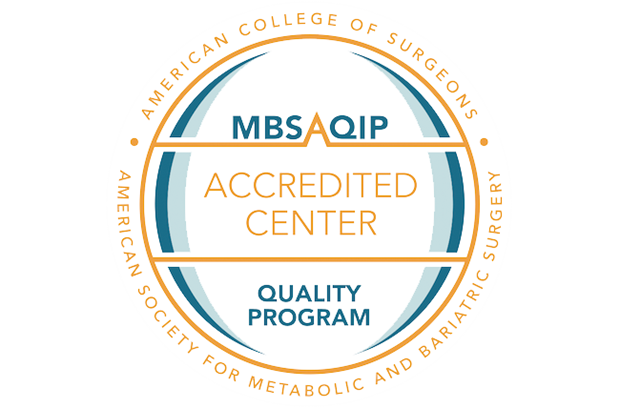 VMCE meets the national accreditation standards by the MBSAQIP through the American College of Surgeons(ACS), and the American Society for Metabolic and Bariatric Surgery(ASMBS). We earned this distinction through a series of site inspections during which our programs and staff were evaluated by a third party. With a dedicated and knowledgeable team of physicians, nurses and a registered dietitian, along with support groups and educational classes, we have successfully developed a supportive and results-driven weight management program for adults who are ready to make a change. To hear more about our program and sign up for a free informational seminar please call 847-356-4745.